Projection Mapping is similar to everyday video projectors, but instead of projecting on a flat screen, light is mapped onto any surface, turning regular objects of any 3D shape into interactive displays. The projection mapping technology has gone overboard for the past few years. With growing popularity and demand, countless projection mapping techniques experimented during events accommodating the high level of creativity. Seeing object of incredible size taking shape into virtual figure is a heart-touching experience. When used in the event, this technology can escalate the visuals of the entire performance by simply altering the backgrounds and environments. Be it a product launch, public messages, award shows, concerts or corporate presentations, 3D projection mapping will turn the events into an entertaining show. Take a look into these mesmerizing videos that flaunt the strength of this technology proudly. You might have seen lot of projection mapping videos before but nothing like this would have amazed you. Running short on time? Check out this fusion of all creative video mapping videos. Couple up your imagination with this technology and leave a strong impact on your audiences. 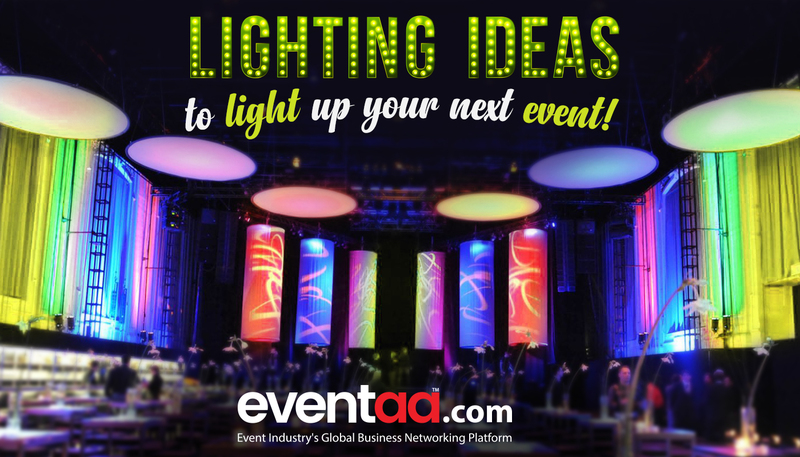 Lighting ideas to light up your next event! Have you seen any such videos that thrilled you deeply? Post your valuable comments below and give us a feedback!